In the early 1970's a committee of the top Shell International executives and scientists reported that those practicing corrosion control were nothing more than 'cowboys and charletons'. Asset owners are being ripped off by pseudo scientists who are selling advice that does not and cannot work. In 1973 I recognized the error at the basis of cathodic protection measurements and that this affects the practical application and design of all cathodic protection systems. This picture shows a standard way of gathering some of the data that is still used to analyse the corrosion status of buried pipelines. This subject is covered fully in our longer courses. 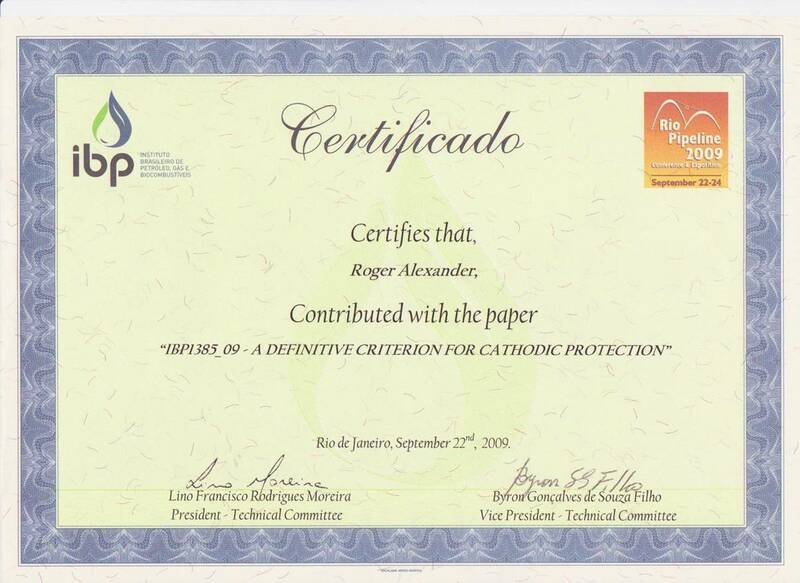 In 2009 I presented a paper titled "A definative Criterion for Cathodic Protection" at two international conferences held in Brazil and they were accepted without challenge by the international corrosion control community. The criterion is the point of electrical equilibrium at which corrosion is observed to have stopped. As electricity cannot be seen it has to be observed through instrumentation and the present practices do not provide repeatable data as required by the scientific method. Electrical energy is universal and pipelines are conductors of electricity. All pipelines and other metalic conductors are in contact with the 'ground' at some locations and the whole network can be investigated as any electronic circuit. This is the reason I use the term Cathodic Protection Network as it not only describes the growing network of people involved with corrosion control but it accurately describes the global electrical circuit that we are all studying. You can also read the emails leading up to this paper and the refusal. You will see the names of those who did not understand the basic science that governs all corrosion control globally. You will see that they do not even understand DIN 50918 that is an international code of practice for the measurement of the corrosion reaction. You will also see that they do not understand the Pourbaix Diagrams or Gibbs Free Energy and do not even understand that Einsteins famous equation about relativity applies to corrosion control engineerng as well as everything else in the known universe. This seminar is designed to update those who are responsible for making political, financial and executive decisions relating to maintenance, corrosion control and security of networks of pipelines and facilities. The seminar will be held as soon as it can be arranged (by demand) in Brazil, at the Cathodic Protection Network, Guararema Training and Research Centre. This is likely to be mid 2019. This seminar includes the business plans for the complete change in global corrosion control that is necessary because the present state of corrosion control is a complete disorganised shambles. Investors, legislators, scientists and engibneers will recognise the need for change as the facts are described and demonstrated during these five days. During this seminar there are master classes resulting fron over 50 years of experience, research and development and practical application of cathodic protection and corrosion control. The science is demonstrated as required by the scientific method as defined by such great scientists as Isaac Newton, Michael Faraday, Albert Einstien, and Stephen Hawking. The Nernste equations and the Pourbaix diagrams are explained properly as well as Gibbs Free Energy and how all these scientific facts have been misrepresented in the past to result in the present design, implementation and maintenance of corrosion control systems being fake and ineffective. It must be noted that the advice given by NACE, ICorr and other corrosion control organisations is out of date and cannot work as it is NOT science. 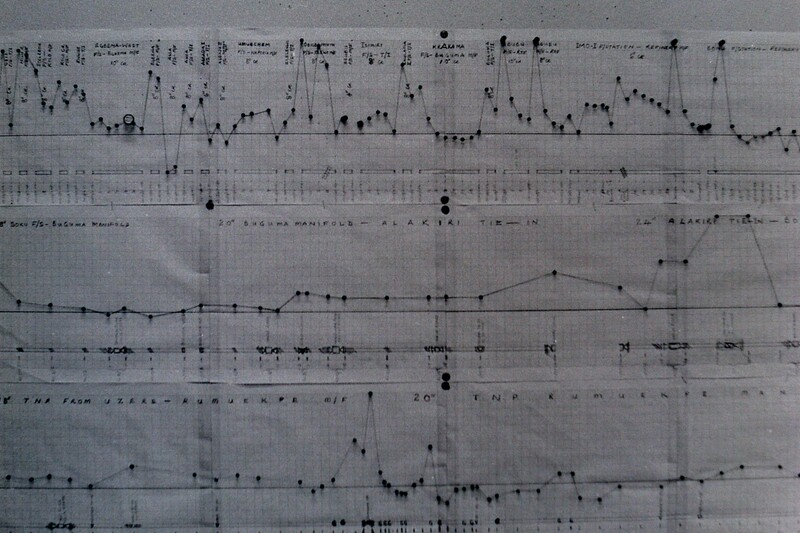 Proof of this is the fact that data gathered by their recommended methods cannot be computer analysed but is submitted in reports that contain graphs of voltages that are called 'potentials' and are not related to the Pourbaix diagrams as they do not include Ph values and make no electrical calculations. The reason for this is explained and DEMONSTRATED in the introduction and all corrosion control and trainng organisations are invited to attend and contribute if they want to challenge any of the content of this seminar. This means that all international standards such as API and ASTM must be changed into genuine science based guidance. Organisations, universities and research groups should challenge everything in this seminar and master class as their present guidance on the application of electro-chemistry to industry is not scientifically credible. In fact the misapplication of cathodic protection is causing accelerated corrosion in certain circumstances. I have been demonised and scorned since 1980 when the Alexander Cell proved conclusively that NACE and ICorr standards are not soundly based and do not work. All delegates to this seminar will be given an Alexander Cell kit (and detailed instructions as to it's use) to take away and instruct their corrosion control departments to use in their field surveys, design, commissioning and maintenance work. The seminar will start from the very basic understanding of the electrochemical reaction of corrosion that is simply demonstrated using three nails and a source of electrical energy. Do not scorn that this is too basic because it PROVES that NACE and ICorr are wrong and that the practices they advocate cannot possibly work. This is why asset owners get masses of meaningless data for the money they pay the qualified specialists who pretend they can control corrosion. A brief explanation of the picture. There are five corrosion cells in this picture. 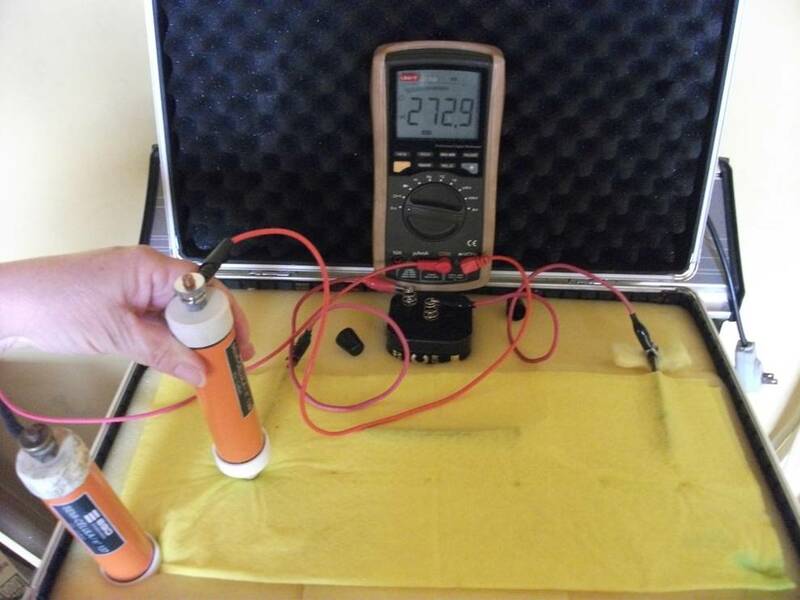 The dry cell battery is four corrosion cells in series. 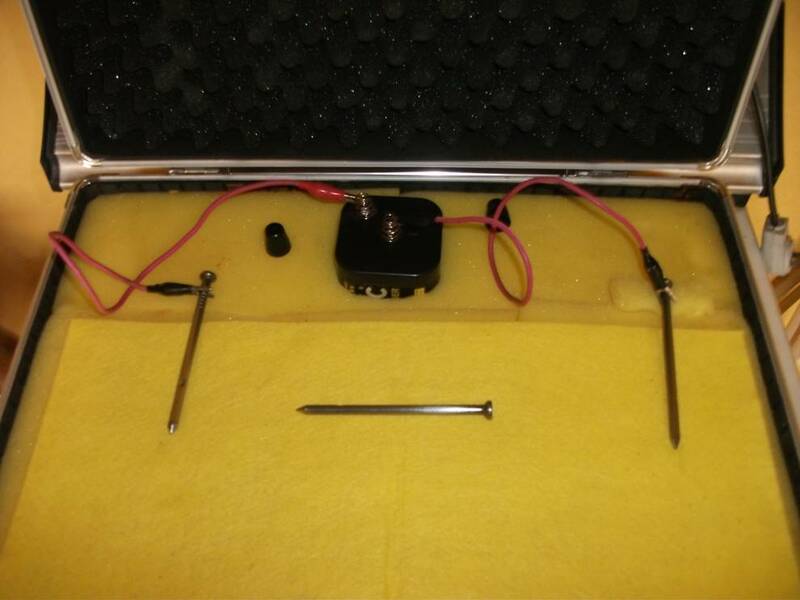 Each of these four has an Electro Motive Force (EMF) of about 1.5 volts and the potential difference between the + and – pole of the whole battery is over 6 volts. The 5th corrosion cell is between the nail on the left of the demonstration and the nail on the right. The 6 volts of energy drives charges from the nail on the left causing it to corrode. 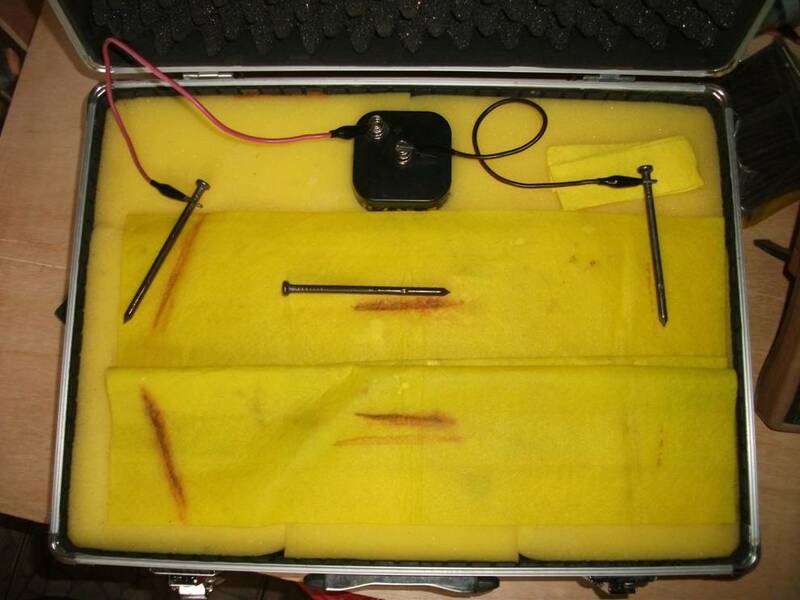 These charges flow through the cloth to the right hand nail that does not corrode. We can measure the distribution of these charges in the cloth using two copper/copper-sulphate electrodes and a voltmeter. How we measure DC electricity. That the meter sets zero for each measurement. That all measurements are between two variable potentials. That the passage of electrical energy can be measured as it passes through the electrolyte (the ground). 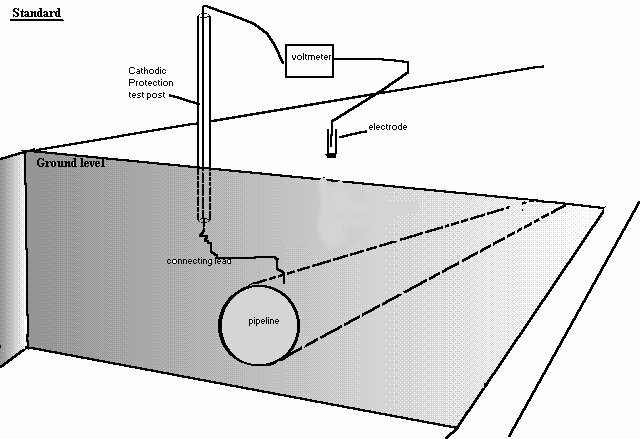 That a copper/copper-sulphate electrode is not a reference potential in traditional cathodic protection measurements. 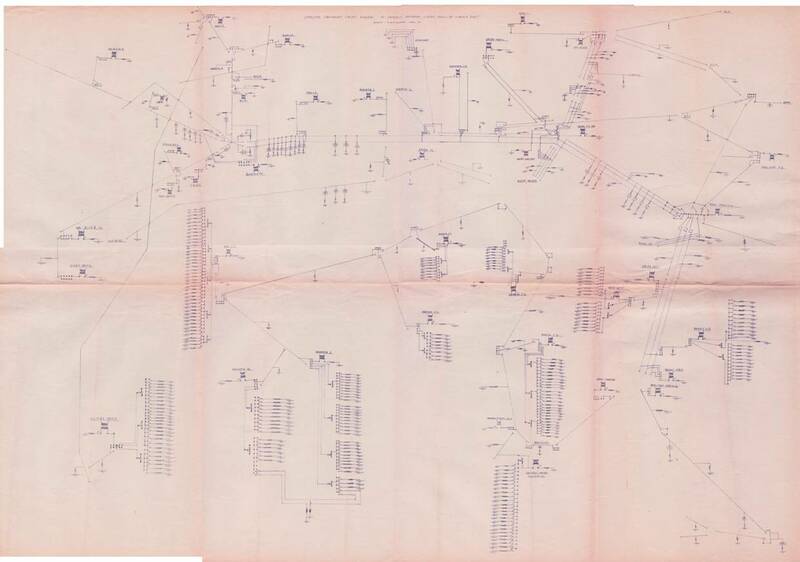 This is a model of DCVG that I invented in the mid 1970's in Nigeria. This is very important as it shows that the copper/copper-sulphate electrode is NOT a reference potential as claimed by NACE and ICorr. The nail in the center is a lower resistance path between the two outer nails and consequently the charges pass onto this nail at the right end and from this nail at it's left end. This 'interference' can be measured using the two coppe/copper-sulphate electrodes and the voltmeter. In two hours the corrosion products can be seen at the predicted zones so the electrical measurements can be confirmed with visual evidence. After two hours we will see predictable visible corrosion. We can measure this dynamically as it happens. We will see Faradays Laws in action. We will see ‘interference’ and ‘stray current’ corrosion and measure it as it happens. In 1973 I recognized the error at the basis of cathodic protection measurements and that, this affects all of the practical application and design of all cathodic protection systems. 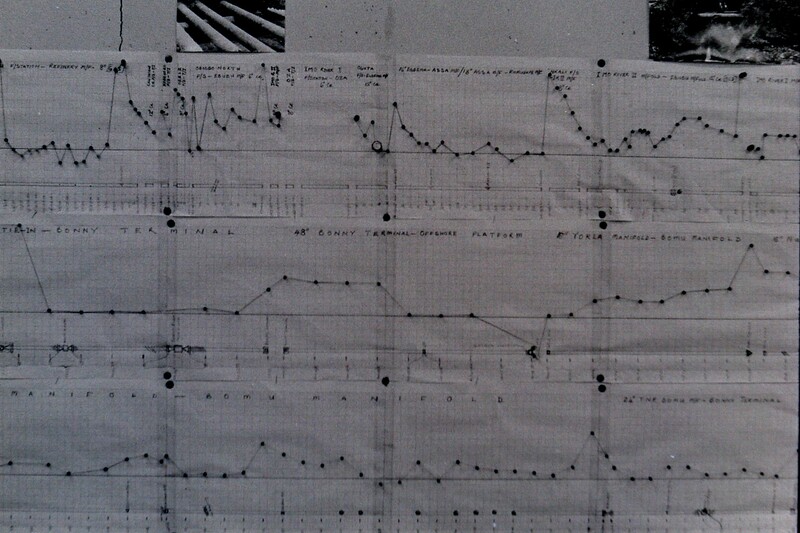 This picture shows a standard way of gathering some of the data that is still used to analyse the corrosion status of buried pipelines. This subject is covered fully in our longer courses. The fields of study that concern us are electrochemistry and electronics. The scientists Faraday, Newton, Nernst, Gibbs and Einstein are among those who have contributed papers, formulae and equations that codify the known laws of nature, but advances in the science of energy storage and control are developing every day. We understand the part played by energy (electro) in the changes that take place in materials (chemistry). We use industrial methods to produce materials from natural resources to benefit human survival and comfort. The laws of thermodynamics say that there is a tendency for everything to reduce to a state of chaos known as 'entropy'. In simple terms this means that whatever we do, nature tries to undo, so metal tries to return to the ore from which it is derived. This is corrosion. We change the state of the metallic ores by adding heat energy and this energy can be released as part of the electrochemical process known as the corrosion reaction, commonly called 'going rusty'. 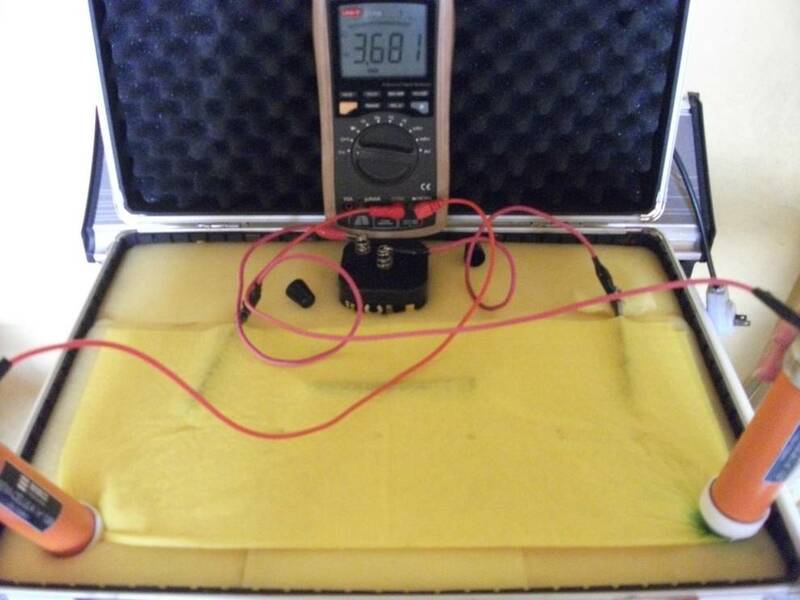 A dry cell battery is a common way that we get electrical energy from the corrosion reaction. 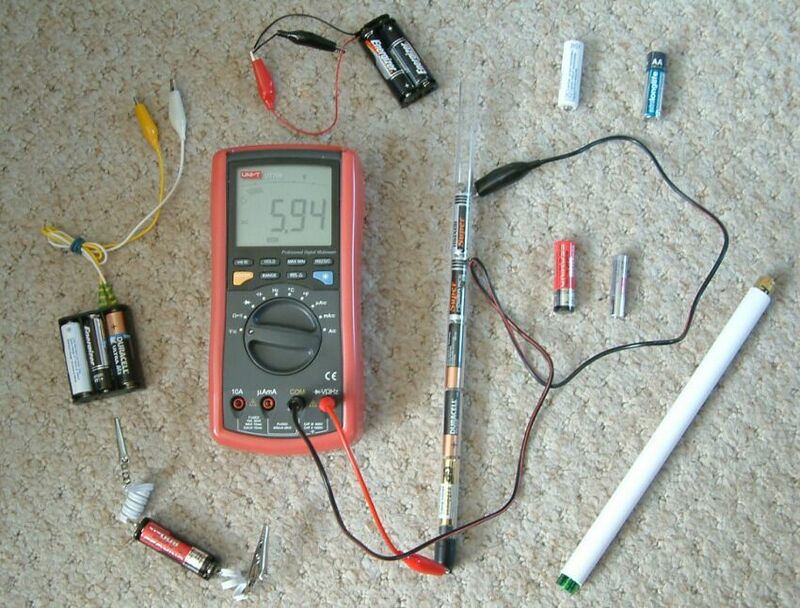 The zinc case of an AA battery corrodes and the electrical energy is converted into photons that light a LED torch. Control of corrosion is an essential component of modern life as we now know it. The laws of nature are continuously rewritten in scientific papers resulting from research and development, and the substantial laws have been used repeatedly over the centuries to achieve engineering results. If the laws are correct and the engineering practices are in compliance with the requirement of nature itself, the result can be close to permanent and humanity benefits. The world today is the result of the application of the laws of nature combined with the evolution of nature itself, driven by these natural laws. The whole world is a cathodic protection circuit because all conductive paths are embeded into the ground and water. It is the law of nature that energy (electricity) tries to reach equilibrium and will travel through the least path of resistance (Kirchhoffs Laws) to equalise all the 'charges' in the system. The above picture shows the equivalent circuit drawing that I made of the Eastern Division of Shell-BP pipelinesin Nigeria. I used this and a pocket calculator to analyse the thousands of voltage readings that were gathered by teams of CP technicians. 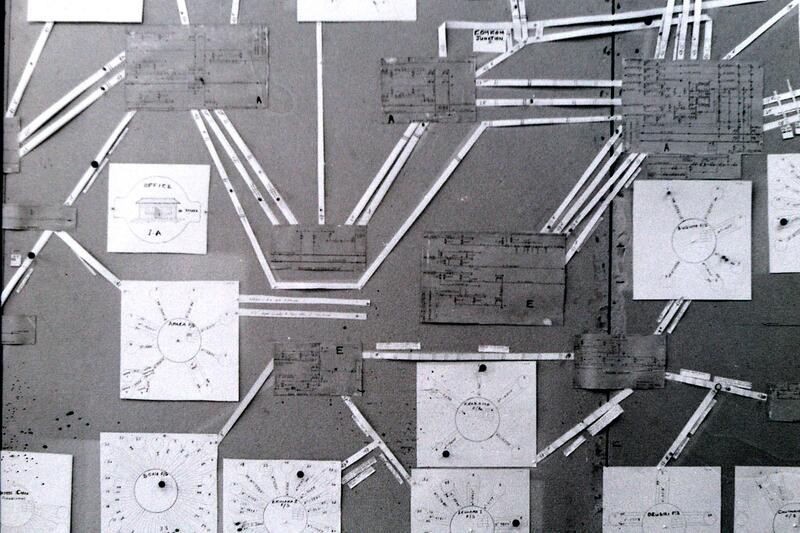 This was before the days of personal computers and I devised a way to display the complete network on wall charts to keep the team fully updated as we worked. As more pipeline systems are installed, the technical problems in cathodic protection become more complex, and the global pipeline network has now grown into a huge integrated electrical network which must be balanced very skilfully to control the electro-chemical reactions that would otherwise destroy our assets. A period of time known as ‘the enlightenment’ changed the way the whole population of the known civilised world because, it introduced a new way of thinking that was in a different direction to the path of reasoning up to that period of time. Since then, each new idea has had an impact on the whole of science but, has been filtered through the system of approval known as peer review. In this system established hypotheses are only changed if those who believe in them can see an advantage in changing. The dawning of the age of personal mass communication via the internet and social media, has resulted in the breakdown of the old school having power over the ideas of billions of intelligent minds. We have now reached a time when we MUST change the fundamental basis of all cathodic protection because, it is now obvious to everyone that the present advice and guidance is not fit for purpose because it simply does not and cannot work. The application of established corrosion control procedures is failing globally with catastrophic effect on lives, the environment and the cash flow of nations. We now have a problem that has been described as 'cognitive dissonance' being the state of having inconsistent thoughts, beliefs, or attitudes, especially as relating to behavioural decisions and attitude change. During this seminar you will see documentary evidence that the technology that I have developed is being actively blocked by those who are practicing the psuedo science that is advocated at present. For years I tried to justify the procedures that I had been taught within the established system, before I was forced to recognize that we needed a new method of measuring the corrosion reaction that can be used outside of the laboratory. We must return to the 3 nails experiment to observe what is really happening in the field during cathodic protection work. Copper/copper-sulphate electrode is NOT a 'half-cell' or even a reference potential when used in this way and science is not being applied in corrosion control field work. Corrosion to networks of pipelines and facilities can only be controlled as a single electronic circuit because we can control the electrical equilibrium in the same way that we can recharge a variety of types and number of batteries in a battery charger. We must start by understanding the corrosion reaction that is found in dry cell batteries and move through scientific understanding to the effects of solar energy (that has been proved to be related to an increase of 17% in pipeline corrosion failure leaks in the area of one international study in which, I was involved) and progressed to learning how to measure and control the natural influences that affects the corrosion process. The 3 nails demonstration is a good introduction to the subject of this seminar as it shows how corrosion works and how it is measured. It is set up at the very start of the seminar and you will see visible corrosion products after two or three hours to confirm the theory of cathodic protection and the way we are making the measurements. Natural laws govern everything in the universe and we have no option but to obey them. 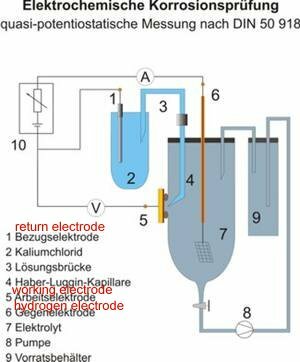 Neither NACE nor ICorr can make up their own laws of electrochemistry. No government can make laws to govern corrosion and no amount of money will stop pipelines and tanks from leaking. I will explain and demonstrate how the understanding of scientists was not transferred successfully to those who are trying to control corrosion in the field. The result of the present misunderstanding is that pipelines are leaking unnecessarily all over the world. It is therefore, essential to be clear about the measurement we are making at present and the measurement that is required by all scientists. This is why this seminar is best attended by academics and field workers who can confirm all of the contents. Also, why policy makers must be clear about the advice they are given, and the effects of the decisions they make. The instruments we use are common locally in most countries and can also be obtained on line.